You may be interested in the attached files. 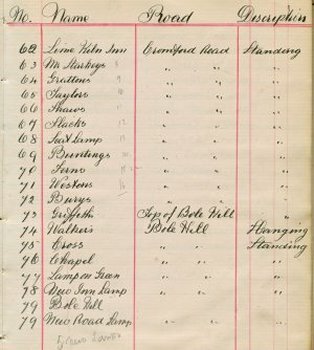 They are scans of pages in a book I've just come across which contains all sorts of oddments. 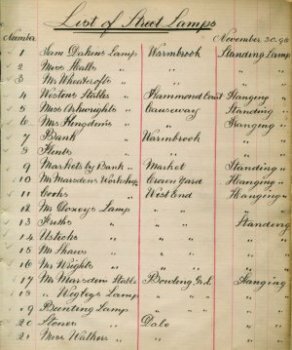 It is a list of standing and hanging street lights in Wirksworth, made on 30 November 1896. 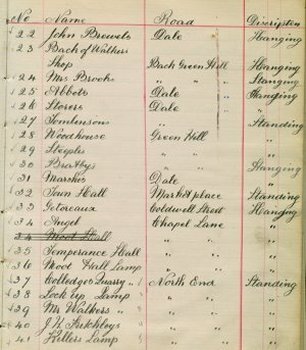 The list is in a book inherited from my wife's Grandfather James Harrison who was the Water Bailiff and Inspector probably from 1900 onwards. 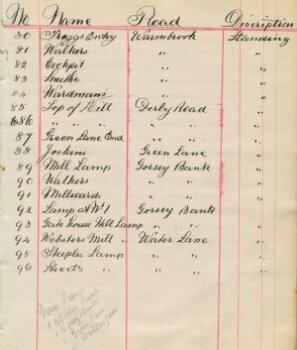 The book was "the property of Wirksworth Local Board and is provided for the purposes of the Inspection of Water Taps and Branches. June 1891." 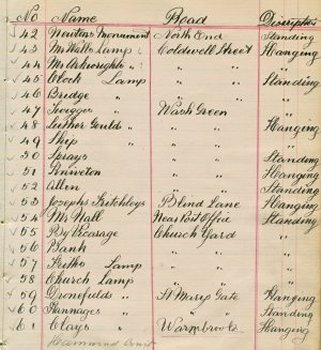 Goodness knows why, at the opposite end of the book from the water inspections there is a list of street lamps.